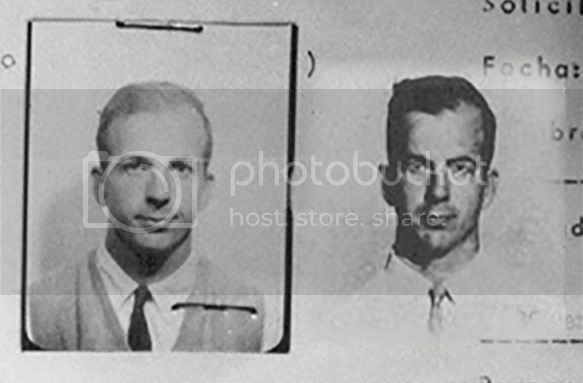 So you are saying that this photo that either the CIA or State Dept produced for the WC as the bias application, that photo was of Oswald on his return from the USSR? Brian! The Brianator! Makin' copies of Oswald. Brianox, cheaper than xerox. Copier of signatures too! Brian! The Brianator! Making copies of Oswald. This is supposed to be the Vias application that LHO filled out? Why would someone copy it over in block letters? Why not just xerox it? This is getting so bizarre, even for the JFK case. And BTW, to show how original David's work is, virtually none of this info is in the Lopez Report. 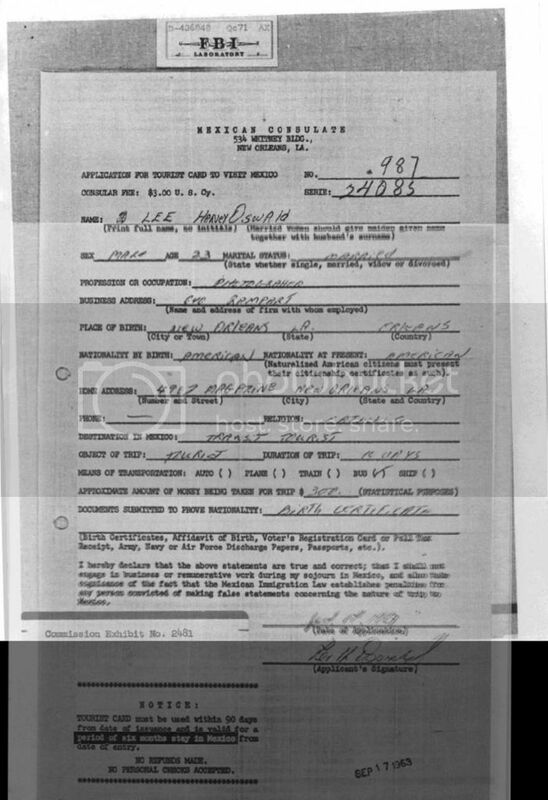 Judging from the date of the application (October 15, 1963), this looks like Oswald's job application at the TSBD. Also, there's the bit at the bottom asking the applicant if there's any skills "the company" might want to take into account when considering the applicant's skills. What a bogus job application! Carefully look at the answers Oswald provided to the questions and compare those to what we know of his life. David, is there any way you can blow up the name of the town in the two documents where Oswald went to high school? 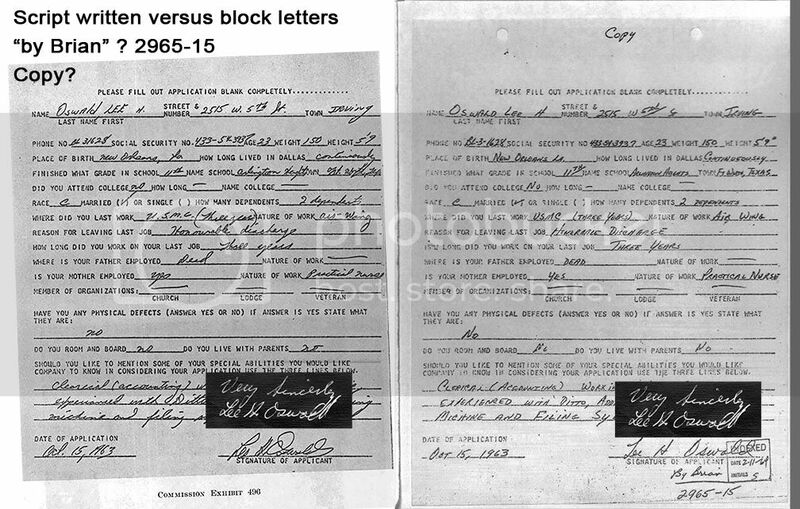 And what's with the squirly "d" in Oswald's written last name in the document on the left? This is supposed to be the [Visa] application that LHO filled out? But again, why is it being copied over in hand from cursive to block letters? Why not just xerox it? You mean to say that James DiEugenio confused Lee Oswald's visa application (Mexico City) with Lee Oswald's work application (Dallas) ? I guess you are asleep at the switch again. The title of this thread is Oswald was not in MC. I was looking for the Visa Application in full if David has it. I wish he would post it. So David, is that the only picture with LHO in sweater and tie that ever accompanied the visa application? Did the DPD also have the visa application? I am trying to figure if there is any possibility that the application was ever with another photo? Did we not get this from Cuba? Yes, supposedly from Cuba. The claim Marina never saw it was, I believe, to reinforce it was taken in Mexico. 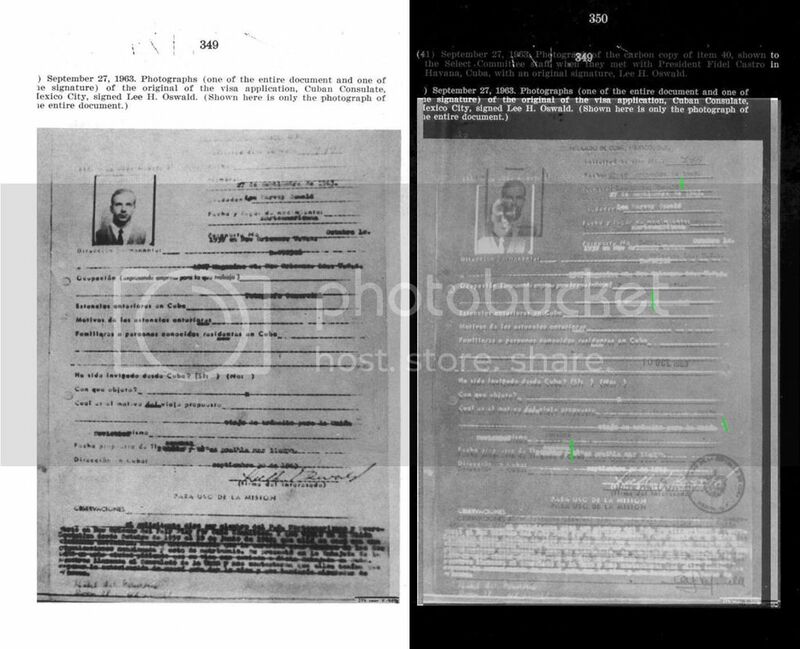 We do not know what the original images may have looked like... Duran was never shown the application after 11/22. In other words, the only extant picture we have to go with the visa app is this one?